Yesterday I finished a roll of parchment paper, usually, the boys use the roll as a sword, but because they were all wanting to have it first, I decided that nobody would have it. Sounds familiar? I’m sure that sort of thing only happens in my house though. When the time came for my two youngest to practice their Spanish counting, I decided to make a little stamp for them with the roll. 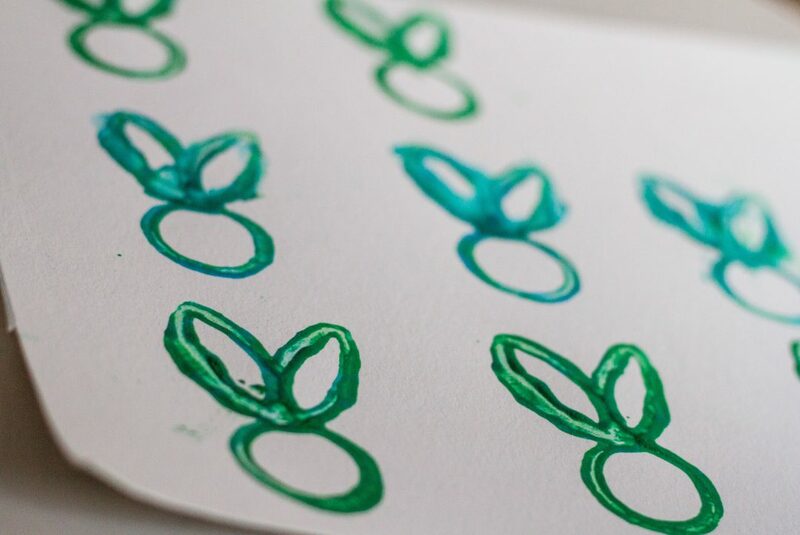 Since it’s so close to Easter, I went with a bunny stamp. It’s so easy and so fun! I hope you will try it too! You will be surprised at how easy this will be. If you want the kids to all work at once, you might want to collect a few rolls before you start. 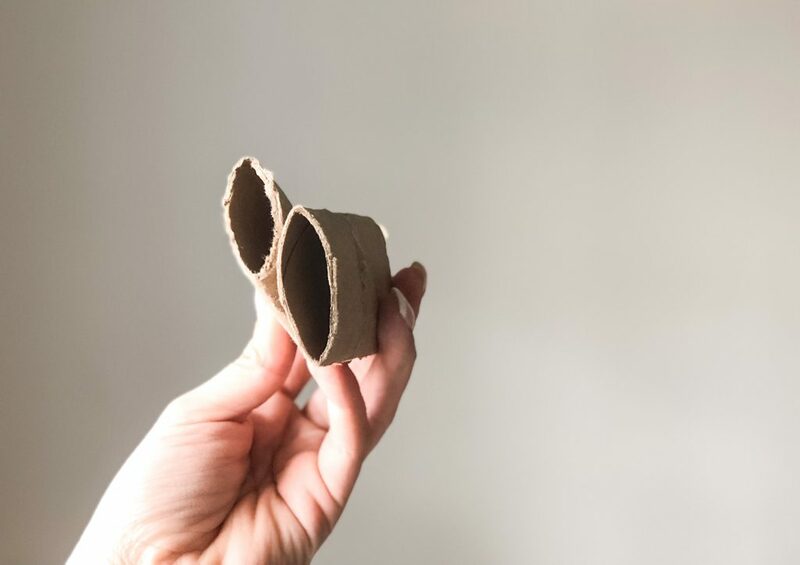 You can also use toilet paper rolls or paper towel rolls. I think it would be cute to have a few different sizes. Maybe we will try that next. Parchment paper roll. Or any other rolls you might have handy. Hot glue gun and a hot glue stick. Paint. I used washable paint because it just makes my life easier. I cut the roll into three equal pieces, then I used my finger to flatten up two of the pieces, that I would make into the ears, and the third piece I left very round. Making sure that the flattest edge of each piece, faced the same way, I glued together the two flattened pieces, but only on one end. Making a “V” shape with them. After that, I put more glue on the base of the “V” and attached that to the circle piece, to form the bunny shape. And that’s it! 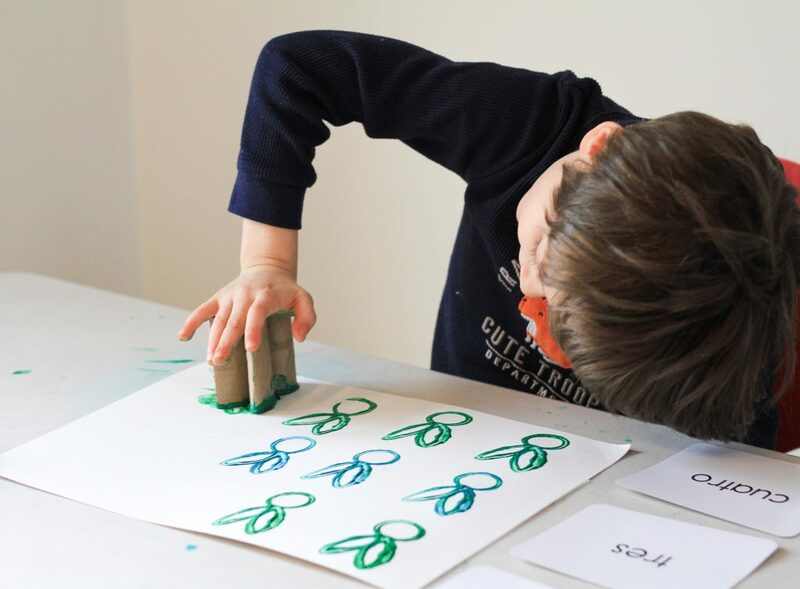 the stamp was surprisingly sturdy, and the boys loved it! You have to try really hard to make the stamping edge align, but you can also press it against a table to make even. But even if it is not perfectly even, they can just make sure to press a bit harder to make sure they get the entire shape on the paper. They will figure it out as they feel the stamp and see the shape. It’s an amazing activity! The kids were busy with it for a very long time! 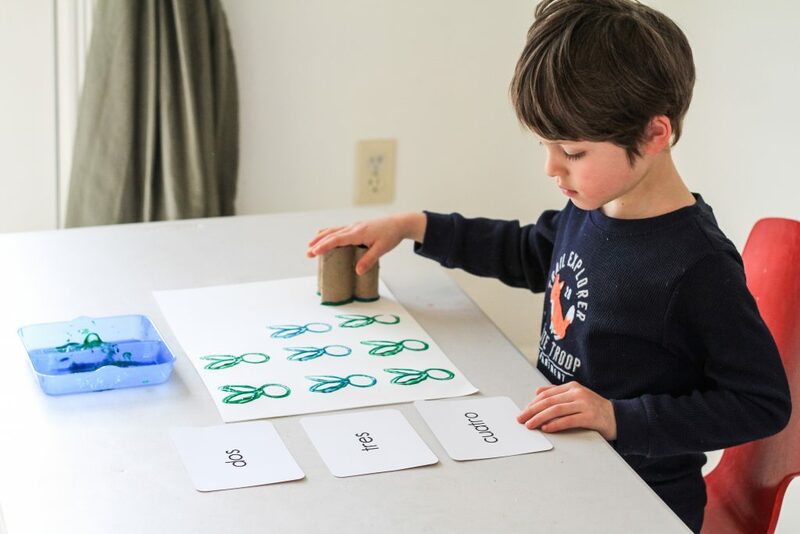 We used some amazing flashcards from our friends over at Kindergarten Toolkit, to practice our Spanish counting. 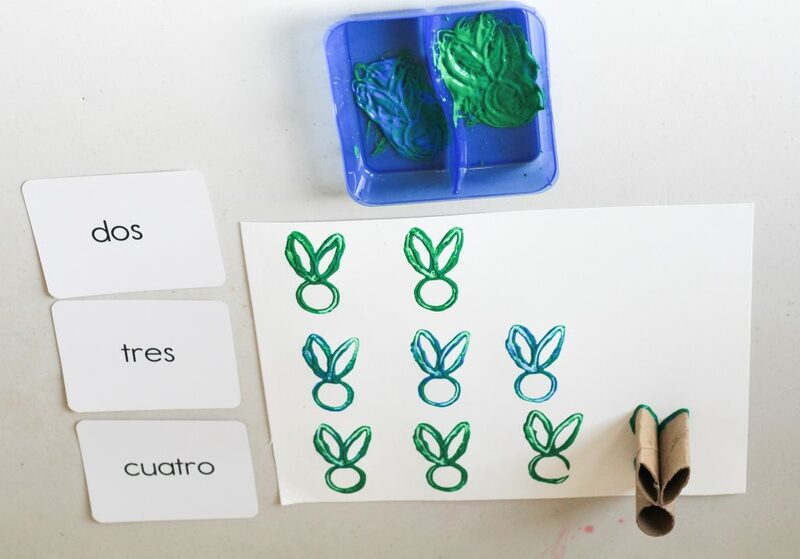 The boys would see the number in Spanish, and stamp the same amount of bunnies as the card called for. You can use the stamp for many other things! Cute Easter cards from the kids would be an amazing idea! 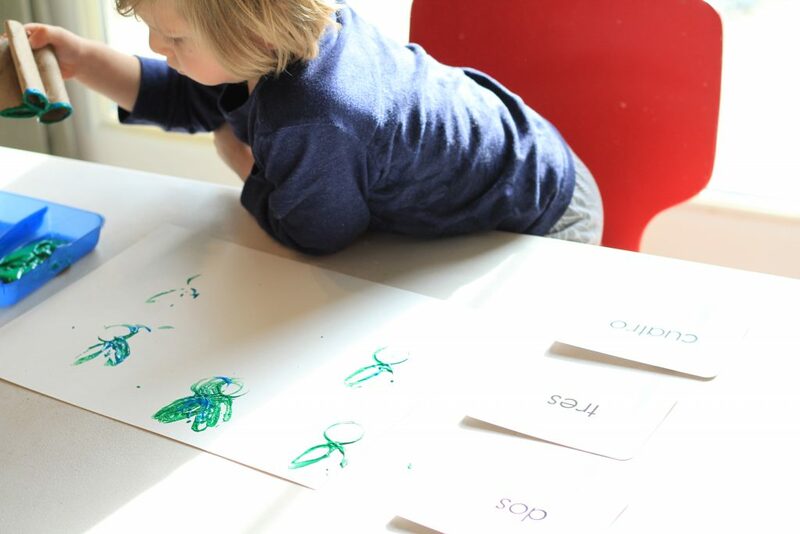 My boys also experimented with mixing colors and seeing what would come out of the mix. The possibilities are endless! 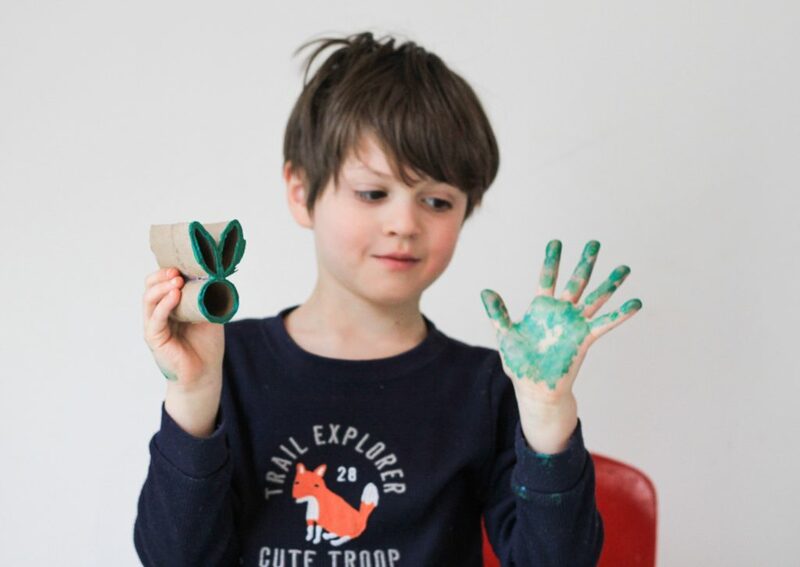 What other shapes or animals can be made out of paper rolls? I can’t wait to hear all of your amazing ideas! We will try them also! How fun is this? My kids love crafts and paint, so they would totally love this! It was so easy and fun! I can’t wait to see what you guys make! That’s so awesome. You’re so creative Maria!